TO WHOM DOES MONTEPULCIANO BELONG? 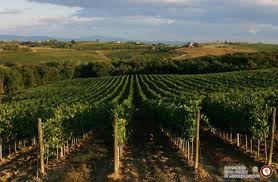 The ambitious aim of the European Union to organise all of Europe's wine regions into a single system more or less analogous to France's AOC, but called DPO, thereby simplifying wine labels, has caused increasing anxiety for the Consorzio di Vino Nobile di Montepulciano. To clarify labels for consumers, the EU aims to phase out any duplicates in wine names in due course and allow only absolutely clear denominations of origin. This in reality means that any wine striving for a Protected Denomination of Origin needs to be named after a place. At first the regulations seemed deceptively easy to adapt. It was assumed that France's AOC, Spain's DO and Italy's DOC, to mention the most important, would simply be translated into DPOs and registered in an official list of denominations. Any irregularit ies and duplications would be dealt with over a period of five years (until 2014). As the law was introduced in August 2009 in what looked like a great rush, it caught many consortiums and producer associations by surprise, because owing to lack of clear information they were often unable to explain to their members what the new law would entail. Traumatised by the phasing out of their traditional name for the grape Tocai Friulano due to objections from Hungarians because of confusion with their famous sweet wine, Italy is growing increasingly anxious to prevent any further such cases. The latest to pull the emergency brake is the Consorzio del Vino Nobile di Montepulciano. While this organisation has taken the better part of 10 years and more than three million euros to register and protect the name to prevent others from using it for products made outside of the region, it now fears confrontation from its neighbour the Abruzzo. Abruzzo's most renowned wine is Montepulciano d'Abruzzo. The name Montepulciano in this latter case is the name of the grape variety while the Montepulciano of Vino Nobile is a place. The Consorzio is worried that during further clarification with the register, their name may run the risk of becoming erased, while Abruzzo's will be kept. The Consorzio has already expressed their concern to Italy's agricultural minister Giancarlo Galan, but it has gone further, and has apparently already turned to the European Tribunal to appeal against the current listing of registered and protected geographical indications, which is accessible online and is called E-Bacchus. At this stage, E-Bacchus, which is in the process of being updated, shows both Vino Nobile di Montepulciano as well as Montepulciano d'Abruzzo, so the Consorzio del Vino Nobile di Montepulciano's fears may be unfounded. However, with further rationalisation of the registration, issues may arise over the duplicate use of the name Montepulciano to denote two completely different wines. The Consorzio wants to prevent at all costs any 'distortion' of the Vino Nobile di Montepulciano name. (The Friuli grape Tocai Friulano had to be renamed Friulano, and Tocai Rosso, a synonym for the Grenache cultivated in Veneto, had to be renamed Tai Rosso.) But the real reason the Consorzio went straight to the Tribunal was because the latest document in the new OCM regulations, EU 410/2010, failed to mention the word Nobile. The Consorzio, and the local Siena Chamber of Commerce, want to press Brussels to explicitly clarify this matter, as without the word Nobile, the DOCG wine currently known as Vino Nobile di Montepulciano would be labelled merely Montepulciano, and there would henceforth be confusion with Montepulciano d'Abruzzo, which could potentially lead to a sort of declassification of Vino Nobile di Montepulciano into a wine with an entirely different name.